It was that time of the year again! 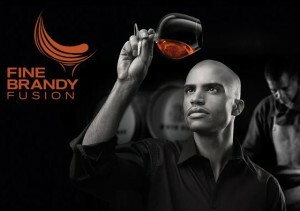 The annual Brandy Fusion festival where craft potstill brandies and brandy lifestyle is exhibited. You get to see the glitz and glamour of the up and coming brandy image, experience your favourite brandies and even get to discover a few new smaller brands (some new and some as old as the industry itself). The major stand out in terms of pure brandy had to be the once off bottling of a Van Ryn’s 25 Year Old! A few lucky people selected from a draw could witness a bottle being poured for them and had their name hand scribed on the label. We are still hinting at Van Ryn’s to let us taste, and as soon as we do, you will read it here first! I also like the inclusion of a dedicated food section. Here you could sit down and enjoy various tapas, chocolates, sushi and cheese platters. I thought this was a great addition because brandy for me is all about experience and it always goes down superbly with some good food. It seemed very low key to me compared to previous years. Walking into the Sandton Convention centre you hardly even knew there was a festival dedicated to brandy! Other than that, the show was on par to previous years. Maybe it was just me who missed the hype. The absence of some prominent brandy producers like KWV, Oude Molen and Joseph Barry. Whatever the reason for their absence, they were missed as Brandy Fusion is a great opportunity to connect with you consumers and also for enthusiast to be exposed to new brands that are sometimes not as readily available in bottle stores. I really love to see the smaller brandy exhibition grow. I love coming to this event to see, taste and interact with people regarding lesser known brandies and seeing the industry expand. I would like to see producers bring more of their ranges to us. Most guys like Bergerac and Bezalel and had their XO on offer, and one of the big guys Boplaas only shared their 5 YO while back home they brag with a range of multiple award winning brandies ranging from 8 – 20 years. This is the soul of the brandy industry and it needs to be shared! I liked the inclusion of the wider range of food experience, but would also love to see this grow. Pairing brandies with different foods, chocolates, cheeses and maybe some strange concoction (more like this years brandy and bacon cocktail – proof yet again that bacon really does go with everything!) is an awesome experience. Even though there were some lifestyle stands (Kaya FM, Harley Davidson, Luggage, Etc.) I would to see more industry related lifestyle products such as bar accessories, distilling equipment, glassware, educational, etc. In closing, Brandy Fusion is a fundamental part of promoting brandy to the masses and putting South African brandy back on the map. It can never be easy to pull off any event of this size and I have to take off my hat to the Brandy Foundation for yet another great year at Brandy Fusion. Keep supporting them, keep coming and if you haven’t been there yet make a plan! Perhaps next year we will see an outdoor event that is bursting at the seams with the awesome brandy character, pizazz and all the beautiful people we have all come to love. May the brandy always taste great!